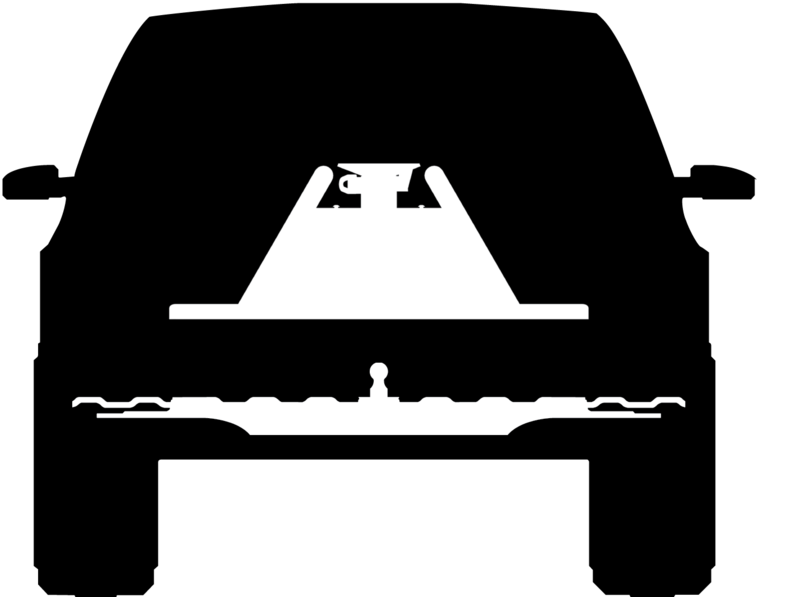 ISR is aptly named because of all the different rail systems designed, they became the most popular and are now referred to as the "industry standard." Industry standard rails are slotted on the top of the rail to accommodate tabbed, or spade feet of a hitch base. All our ISR Series hitches are quickly installed on these types of rails with pins and clips; easily installed and removed in four easy steps, NO TOOLS NEEDED! 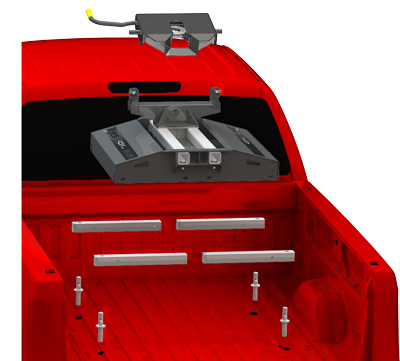 This mounting system is designed to work with 1/2, 3/4 and 1 ton trucks. Our ISR Series mounting systems come in standard (16K—20K) or heavy duty (24K) models, with universal or custom mounting kits. 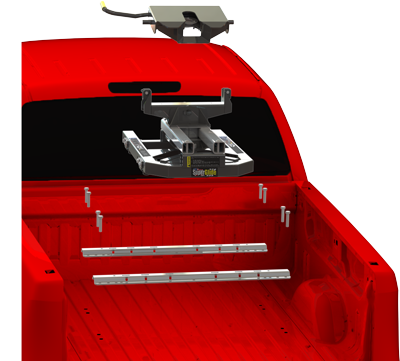 This type of rail system is bolted through the bed of the truck into Mounting Brackets installed on the truck frame located just under the bed. 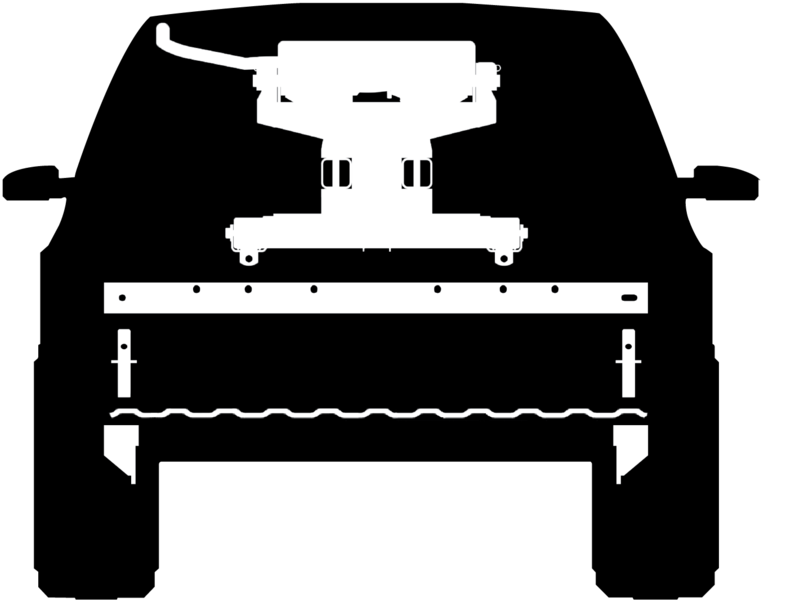 This type of rail system is designed to remain in the bed after the hitch is removed. Since ISR Rails are the most common, you may have a truck with these rails already installed. If so, any of our hitches install easily onto your existing rails, or you can choose to upgrade both rails and hitch completely. 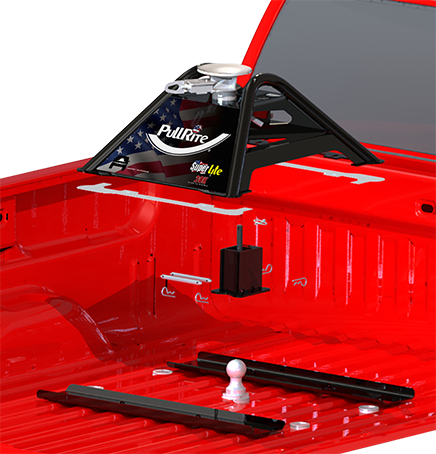 All PullRite ISR rail systems and frame brackets are custom designed to fit your vehicle's specific make and model and most require no drilling of the frame to install. Click here to learn more about ISR Series Rails and Brackets. #1900, #2100, #2200 ISR Series Super 5th's. #2700, #2900, #2300 ISR Series SuperGlide's. #2400 ISR Series SuperLite. This rail system is designed to give you a clean bed! It utilizes our patented, totally removable ISR SuperRails that attach to mounting posts which are installed into custom designed frame brackets located beneath the bed. PullRite ISR Series SuperRails are industry standard rails made of tubing. They work with any ISR Series PullRite hitch, as well as any other industry standard type hitch that has tabbed/spade base feet. The ISR SuperRail Mounting System can be easily and completely removed. Once the hitch is taken out of the bed, the SuperRails are removed by pulling four pins and clips. The Mounting Posts are then removed with a 1/4 turn and lifted out of the frame brackets, leaving you with a completely clean bed. NO TOOLS NEEDED! 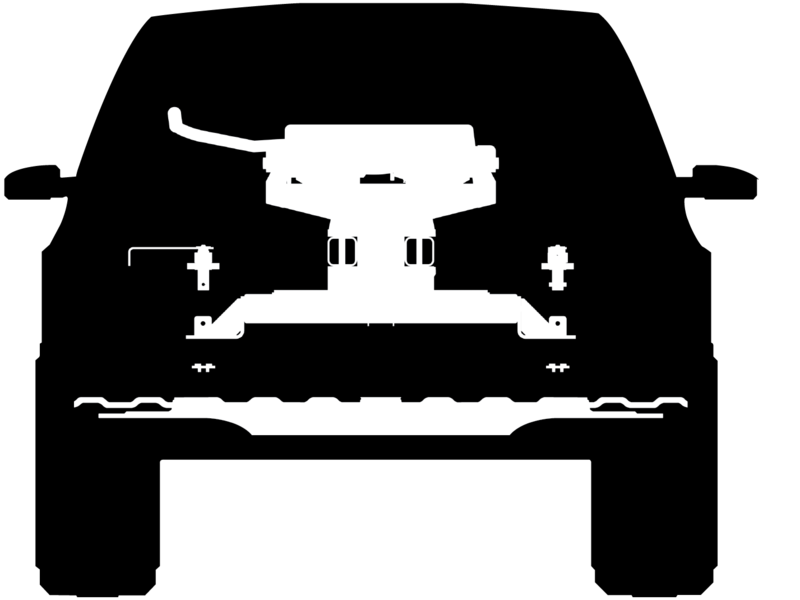 ISR Series SuperRail mounting systems are available for all ISR Series SuperGlide, SuperLite and Super 5th fifth wheel hitches. Check them out! All of the PullRite ISR SuperRail frame brackets are custom designed to fit your vehicle's specific make and model and most require no drilling of the frame to install. A clean bed is part of what we call Clean Bed Technology . Learn more about this feature of all SuperRail mounting systems by clicking here. Have a super short bed, 1/2 ton truck and want the benefits of Clean Bed Technology? The #3100 SuperGlide was designed for trucks with super short beds, or those with less than 6-1/2' beds, and is only sold with totally removable SuperRail mounting systems. Similar to the ISR SuperRails, the Mounting Brackets and rails are custom designed for your vehicle and are specific only to the #3100. To learn more about this great SuperGlide model, click here. 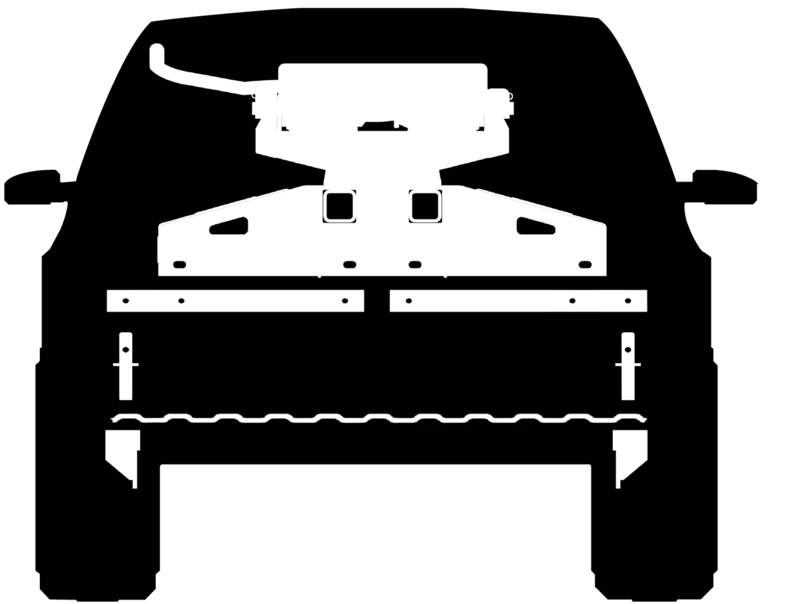 Quickly growing in popularity, this unique underbed mounting system comes as OE (original equipment) towing hard points installed by the manufacturer. Available in 3/4 and 1 ton truck models only, this great towing system gives you one of the most desirable features...a clean bed when you’re not towing! 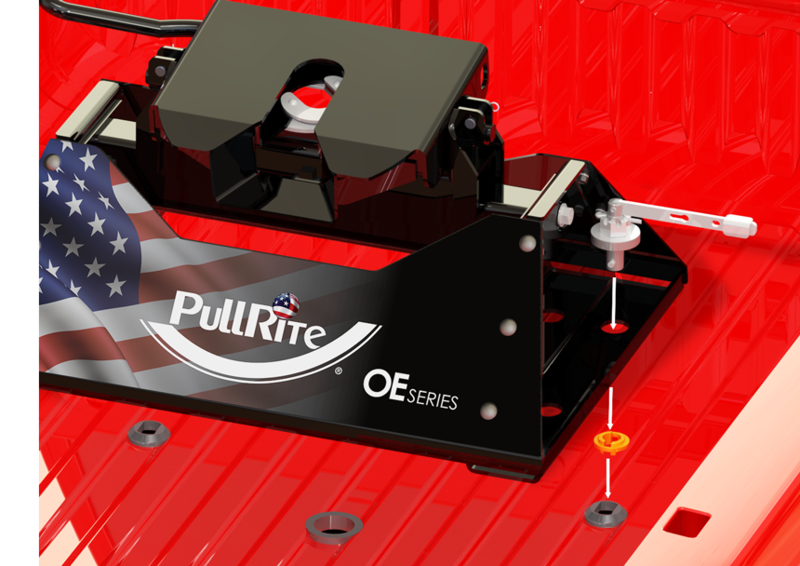 PullRite SuperGlide is the only hitch manufacturer that has a fully automatic, sliding hitch for an OE Puck system. 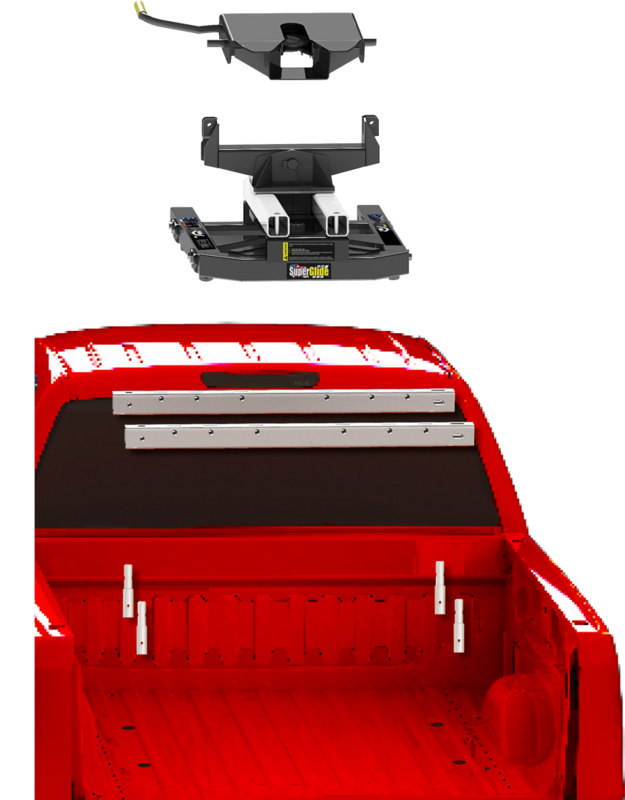 If you’re not already familiar with all the great features and benefits of a SuperGlide hitch for short bed towing, click here to learn more. The main feature of an OE Puck system are the mounting posts that install into factory hard points (pucks). 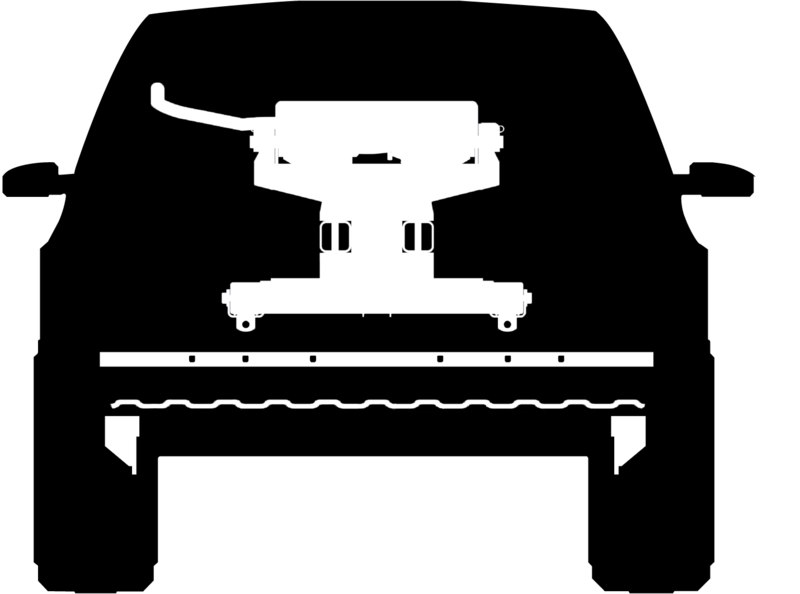 Typically, the hitch is installed by inserting fixed base feet into the pucks and turning the handle to lock it into place. The problem is, most other brand's mounting posts come pre-installed and fixed into position on the hitch base and have several drawbacks. We have solved these issues with our completely removable, custom designed OE Mounting Posts, as well as a few other features. Let us show you why PullRite's OE Series line of hitches are far better by clicking here. #1300, #1400, #1500, #1600 OE Puck Series Super 5th's. #2714, #2715, #2914, #2915, #2315 OE Puck Series SuperGlide's. #1900, #2100, #2200 ISR Series Super 5th's. #2700, #2900, #2300 ISR Series SuperGlide's. #2400 ISR Series SuperLite when used with OE Series Rail Adapters #4439, #4442 and #4444. #4437 OE Series Gooseneck Ball can be used in the center mount hole as seen in the illustration above to use the Puck System as a Single Point (1P) Mounting System like below. Once the #4437 or another brand OE Ball is mounted here, #2600 and #3900 hitches can be used. Single point hitches are designed to tow gooseneck trailers and typically mount to a single point, standard 2-5/16" ball. 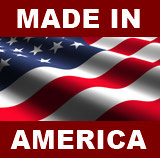 These systems are available as an aftermarket product or come OE equipped (factory direct). The big disadvantage to gooseneck towing is that the driver cannot see the ball while hitching up. And if you also own a fifth wheel trailer, there's no easy way to tow both types of trailers with the same truck. Other brands have developed fifth wheel hitches that attach to the gooseneck ball and provide a plate for fifth wheel towing. However, this forces the user to install and remove their hitch each time you switch trailer types. There need to be a better way and we have invented several options for you! #2600 SuperLite and #3900 Single Point Super 5th. #4437 OE Series Gooseneck Ball can be used in the center mount hole of an aftermarket underbed gooseneck system to accommodate the #2600 and #3900 hitches above.